On display in our little shop. 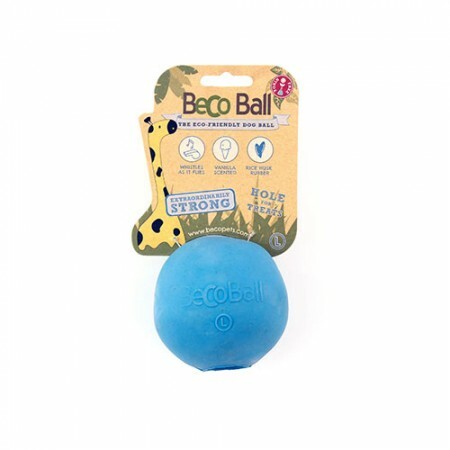 The Beco Eco Dog Ball is suitable for all breeds of dog. The most healthy, safe and ethical toy for your pet. Made from natural rubber and rice husk fibers, the Beco Ball is non-toxic, so you can rest assured that your dog won’t be chewing on any nasty chemicals. Its asymmetric “wobbly” shape means it will entertain more than a perfect ball! Tough and durable, natural rubber balls that are great for dogs of all sizes with a handy treat hole. Sourced from sustainable natural rubber plantations. These have been designed in many variations until we got the toughest most durable performing material.